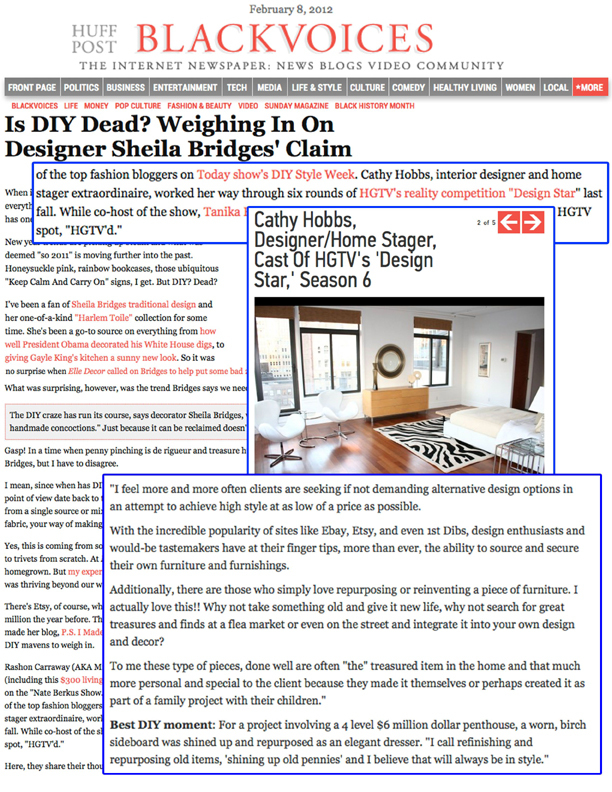 Celebrity Interior Designer/Home Stager Cathy Hobbs Shares Expert Home Staging Tips on the nationally syndicated program. Welcome to part two of my four part series featuring interviews with Cathy Hobbs. 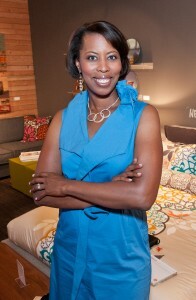 Cathy is one of the top experts in the country when it comes to real estate staging and preparing ones home for sale. Always armed with her “stagers tool kit”, Cathy can display and showcase some of the basic tools any homeowner can purchase to prepare their home for sale. Q1- If I was to look in your bag, what would I find? You would find the basics, hammer, screw driver, picture hangers etc. But you will also find a nifty handheld furniture lifter that allows me to lift furniture by myself as well as soft furniture movers. The furniture movers are really my secret tip! They allow me to move large pieces of furniture either by myself or with the help of a single assistant! Q2-What 5 things do you think every stager should have? Q3-How do you stage a home when it is full of the homeowner’s sentimental objects and furniture? I always remind home sellers that when they put their property on the market it is no longer their home it is a product on the market for sale and it will need to appeal to the largest amount of potential buyers. In order to do this we will need to create a neutral palette, clearing away the clutter and removing the personal momentos. I also remind home sellers that hopefully “they will be moving anyway” and so “why not pack early!” There is nothing wrong with keeping personal and treasured items in the home when a home seller is living in the home and enjoying it for themselves, but at the moment it goes on the market for sale it becomes a marketed product and those personal items need to be packed away. Often large pieces or unattractive pieces are also removed from the home. Q4-What was the most challenging staging job you have had so far? Ah..yes! There was one staging where an apartment in Greenwich Village was an absolute disaster. It was owned by a family who allowed their son to use the apartment while he lived in New York. The son had two roommates. 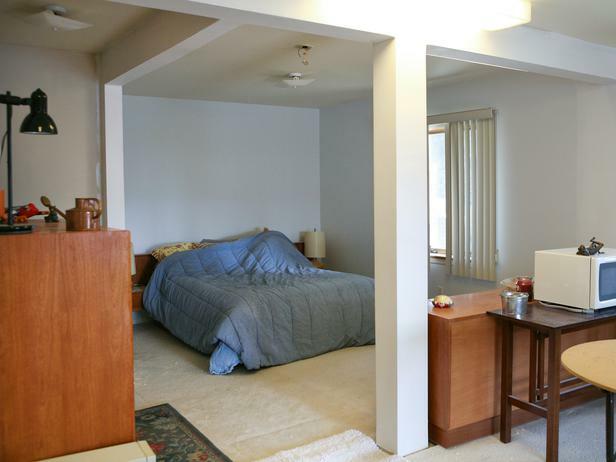 Walls had been put up to create extra bedrooms and the apartment was beyond cluttered..it was a mess! The day we came to stage, there was still the apartment mascot a furry chinchilla in the apartment. Luckily it stayed in a closet the whole time! Q5-What advice would you give people who want to sell their home? Thank you Cathy for your insights into home staging. You can learn more about staging by working with Cathy first-hand when she hosts her 3-day certification course in Columbia, MD. Space is limited so register today! Episode 3 was a really rewarding and fun challenge. It was also realistic because we were designing for real clients! What was actually quite different is unlike a real design situation, we did not consult with the client throughout the project. 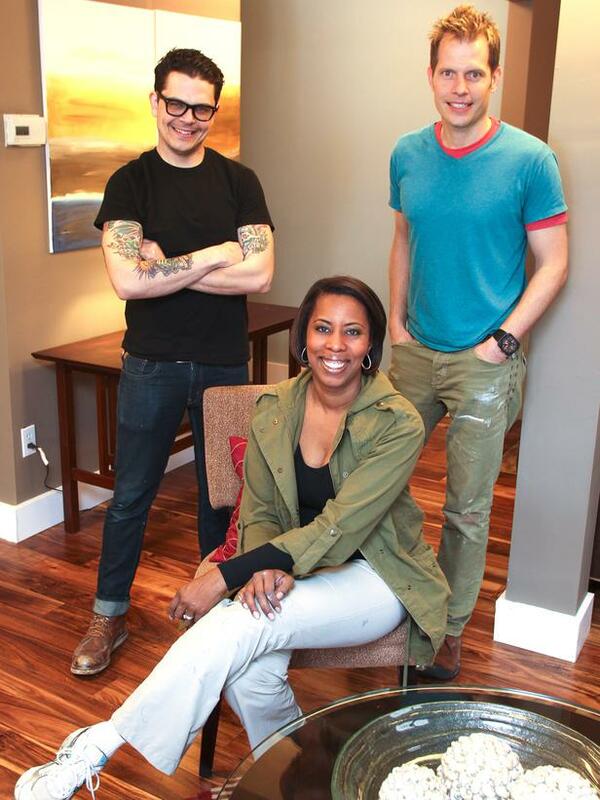 It was fabulous when Christina whose basement me, Karl, and Bret worked on was thrilled with our design. 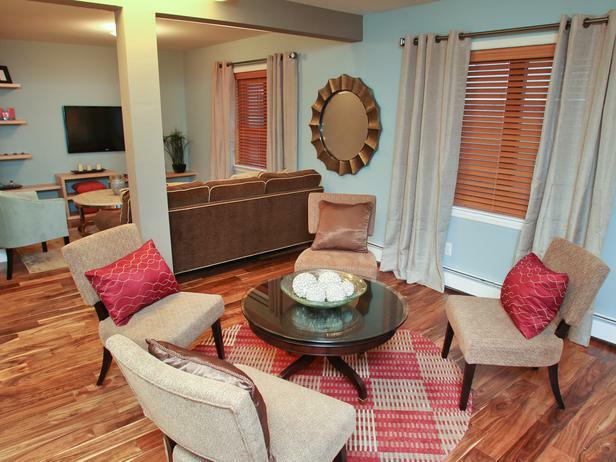 Essentially we turned a former in-law suite created by a previous owner into a liveable and useable space. Christina told us she literally closed the door to the space and pretended it didn’t exist. It is so wonderful that she will be able to fully use her home again. I hope she enjoys her new space for years to come! There were many aspects that went into the design. One aspect that was not mentioned on the show were two large abstract canvases I created. I thought they turned out really well and Christina even commented that she liked them during the walk-through. P.S. Can I just say anyone who has ever hired me, worked with me, for me, alongside me or observed me knows I am an absolute workhorse. Heck I was out “in the street” as a hard scrabble news reporter covering everything from the Bosnian Civil War on the ground in Sarajevo in 1993 to having water up to my upper chest covering the Missouri Floods, for 20 years! I have driven live trucks, carried gear, tripods on my back, moved construction equipment, need I go on? This long-time reporter must share “the inside scoop” which is that the hours and hours of footage that made it onto the cutting room floor, included a conversation in which Bret, Karl and I made the decision that the first day all we could accomplish was the demo and that they would do that while I shopped. Everyone including me who painted the room by myself as well as all the trim boards..got our hands dirty…for the record.